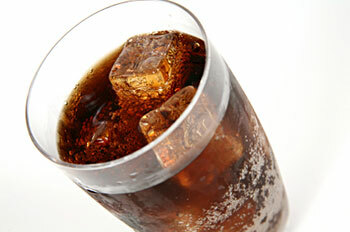 Diet Sodas: Do They Make You Fat? My brother thinks that drinking Fresca is the same as drinking water. He is diabetic and takes pills to control his numbers. He is about 30 or more pounds overweight and he drinks about 6 cans of Fresca each day. I told him he could drop at least 15 pounds if he didn't drink so much Fresca. His doctor told him that drinking fresca is the same as drinking water. Is that True? A team of researchers in Iran looked at that comparison more carefully (Am J Clin Nutr 2015;102:1305-12). They recruited 62 overweight and obese adult women from a weight loss clinic to participate in their 24-week beverage study. Along with a reduced-calorie diet prescribed by a dietitian and increased physical activity, the participants were randomly assigned to drink either an 8-ounce glass of water or the same amount of a diet beverage after their lunch meal five days per week. The rest of the time they were to avoid calorie-free sweeteners in their morning tea or coffee and to drink only water after lunchtime. At the start of the study the participants' height, weight, and waist circumference were measured and blood was taken for cholesterol, glucose, and insulin tests. Those measures were repeated at the end of the study. Both groups lost weight, but those drinking water after lunch lost more - about 13% more than those who drank a diet beverage. They also reduced their waist circumference slightly more. Similarly, both groups improved their cholesterol scores about the same amount, but those who drank water improved their insulin resistance more than those who drank the diet beverages. Switching from sugary sodas to diet sodas will certainly help you cut calories, but this study suggests that there's something about the non-caloric sweeteners that may sabotage your weight-loss efforts. The authors don't say what types of diet beverages their participants drank, so whether that's true for all non-caloric sweeteners isn't clear, but one thing is clear: ditch the diet drinks in favor of water.